The National Museum of Wales admitted its collections "embed historical injustice", after research showed men dominated its recent exhibitions. Temporary exhibitions between 2016 and 2018 featured the work of 83 women compared with 273 men. 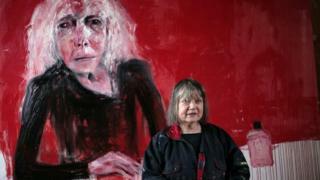 Mid Wales-based artist Shani Rhys James said there must now be a 50/50 gender split in exhibitions. National Museum Wales director general David Anderson said he took the issue of gender balance "very seriously". Research by BBC Wales also showed more than half of the female artists counted in the figures were in a single exhibition of photographers, Women in Focus, in 2018. The issue of gender inequality in exhibitions has affected galleries and museums across the UK. 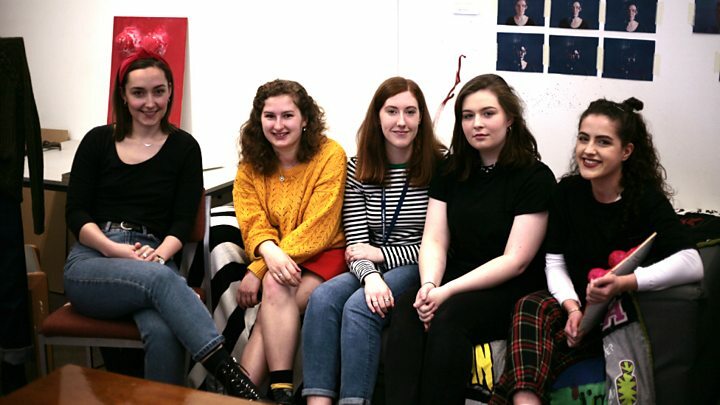 Media captionOne art student said women need to show "what we've got on offer"
Ms James, who is from Llangadfan in Powys, said: "You start thinking, do you have to be an old white male to be showing, and visible, in the National Museum? Really, it is extraordinary that women are under the radar. "If you don't have women showing, what message is it sending out? It's sending out a negative image to women and they've really got to feel positive and confident because it's all about confidence, really." Welsh artist Laura Ford, whose sculptures are on display in Castell Coch outside Cardiff, said it was important women had their own exhibitions, to give them a chance to be more ambitious in their work. She argued stereotypes about female art prevented women artists from being treated as equals. "A lot of the criticism about female artists was that a lot of female art... was too small scale - they didn't make enough work and it wouldn't take up a whole beautiful gallery. "And you just think, actually give them the opportunity and you will find that they will fill that space and they will make that work." Between 2016-2018, artists including Ragnar Kjartansson, Sir Quentin Blake, Shimon Attie and Ivor Davies were given solo exhibitions, but Gillian Ayres, who died last year, was the only female artist given a similar honour. The figures do not include this year, but Leonardo da Vinci and David Nash are the subjects of the museum's current exhibitions. Temporary exhibitions include art from the museum's permanent collection, as well as loaned works. Mr Anderson said he had begun diversifying the museum's permanent collection of art and agreed it should aim for a 50% target for women artists for contemporary shows. He added: "[The museum has] world-class, quality art. However, it is also true that these collections embed an historical injustice. "We now want to address that and we have seen ourselves that the collections are not as balanced as they should be - gender wise, or also in terms of black heritage as well."